I'm adding new blendshapes for character customization. I've tried to make her look like Nefertiti, but I'm not very happy with the result. 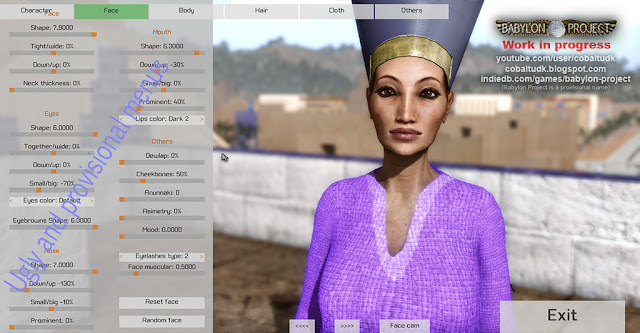 There are no egyptians in the game, but those traits fit well into the game. Hat apart. I can do concept art and I know a little bit 3D modeling .if you ever need extra hand,plz send a mail to silaris@163.com,or my gmail . I'm glad to help BTW.